I caught wind of this new Los Angeles based plus size retailer, we knew that we had to share our excitement with you! 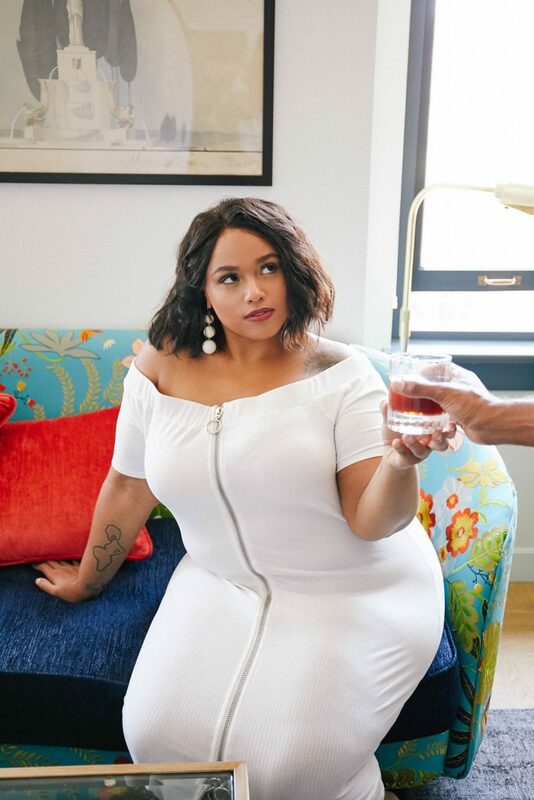 Meet plus size brand, Soncy! We are always here for a new plus size player on the scene… always. So, when I caught wind of this new Los Angeles based plus size retailer, I knew that I had to have a little fun and share my excitement with you! Meet Soncy, your new plus size fashion destination, giving us a step up from fast fashion and right below contemporary plus size fashion. What does this mean? The brand delivers on trend, accessible plus size fashion, with great styling, fabrics, and fit- without breaking the bank. Seriously… Every item on the site is under $100 and new items are on the site every week! 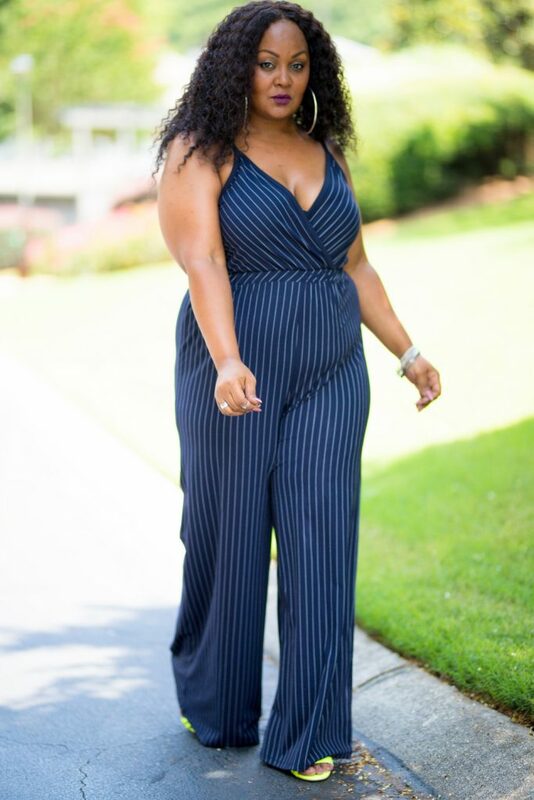 I am not going to lie, I did get a sneak peek and test run in a few of their looks, like this pinstripe jumpsuit! So, what makes Soncy a little different? There are a few details that I happen to appreciate about the brand, that I think you will also enjoy… like, all items are created in-house by Soncy’s design team and fit on a size 18 (Soncy size 2) model! Speaking of sizing, Soncy carries options up through a size 32! Their size range is impressive, out the gate, giving us sizes 10-32, priding themselves on a great fit! We want to represent the beautiful body diversity of plus size women, so we’re casting an array of visibly plus size women for all our editorial campaigns. But the fabrication and the weight of the fabric? Drapes awesomely on my curves! I already have a list of items to add to the closet for the summer! Not going to lie, having a sneak peek of what they were launching with did get us hyped and over the moon with the options! And if you are still looking for a few curious deets about Soncy, they also have a VIP Program! and exclusives designed just for the VIPs! Um… where do I sign up? This program is hella lucrative and impressive. I do not think I have seen one like this before. I have seen bits and pieces, but not all together! Are you ready to shop them? And guess what? They do ship internationally! Boom. You can shop the new plus size collection, now at Soncy.com! Girl, I am here for the newest and latest in plus size fashion… I just appreciate the growth of the plus size fashion industry and community- giving us more than a few more options to play with and in… What about you? Which pieces from the brand get you excited, have you hyped, and already know that you are going to be living here? Disclosure: This is a sponsored collab with Soncy to share the newest news and updates with you. My opinion, excitement, and thoughts about this brand are all our own. I’m in that too tall and too short chasm myself and that jumpsuit looks PHENOMENAL. Thank you for the info, oh queen of curvy looks! Thank you for posting this article. You gave us a good idea and information about your article. You look so lovely and gorgeous.